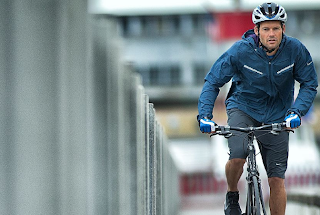 The serious cycling folks who can afford a Trek 6 series seem to be coming to an agreement. It is possible to go fast and far, but still have all your fillings in place at the end of the ride. 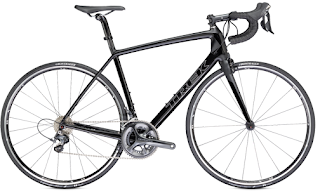 The 2013 Trek Madone 6 Series claims to provide vertical compliance and we have to agree. You can move along the farm roads with this bike full out and not feel as though you might have forgotten to put on the tires. 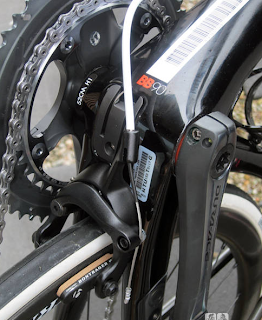 The improved vertical compliance is just one piece in the completely revised Madone. The bike has plenty of reviews in past years for being among the best for handling, and being as quick as it is fast. The new design keeps all the best parts of the reputation, and adds comfort and confidence that impresses you from the moment you click in. The 6 Series bikes begin by using 600 Series OCLV, which Trek says has optimum compaction and low void. As you would expect, this carbon has a bit higher stiffness-to-weight ratio than on the 5 Series. The 7 Series has even higher stiffness compared to the weight. "To put it simply, Trek has upped the ante in the aero road segment, pushing forward with innovative new technology both within the frame itself, and with the parts that hang from it." The frame shapes used are not exactly innovative now, as Trek introduced the Kamm Virtual Foil (KVF) on the Speed Concept two years ago. Trek uses KVF tubes throughout the frame — downtube, head tube, seat stays and fork all received the treatment — and the cut-off aerodynamic profiles generate low drag figures normally associated with much longer, narrower tube shapes. That usually means wider tubes with the same low drag, resulting in more stiffness, lower weight, and better ride quality. Wider tubes also allow for thinner tube walls, which make a frame more lively. 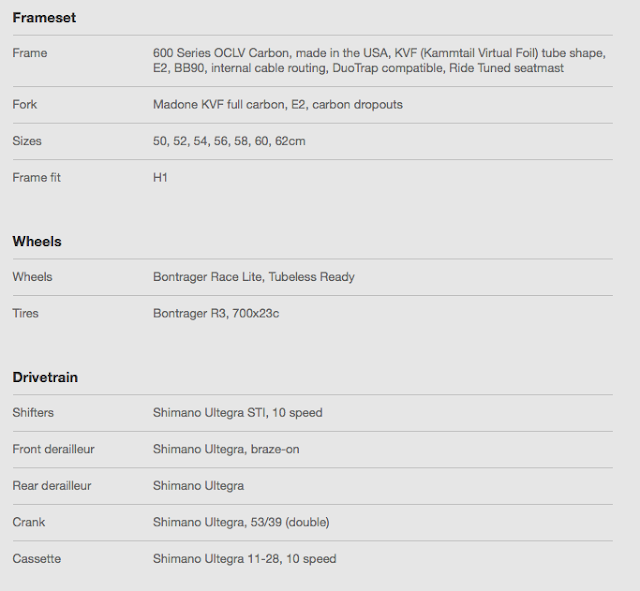 It’s a formula used with great success by Scott on its Foil aero road frame, and proven once again with the new Madone. Trek says that the overall performance improvement reduces drag by 60g. 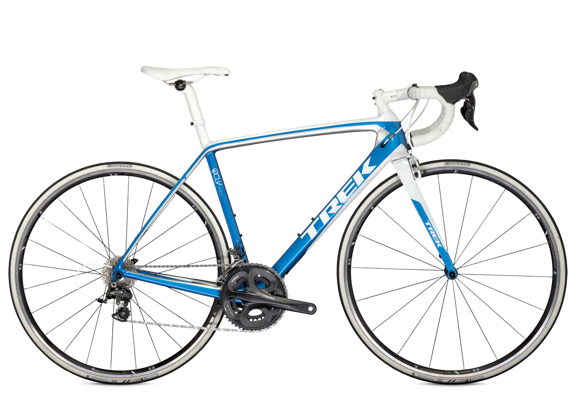 Getting rid of even more drag, but improving the beauty of the bike as well, Trek has taken integration to new levels. Unsurprisingly, this starts with internal cabling. In the new Modone the rear mech cable reappears near the end of the chainstay. The bike is Di2 electronic shifting ready. Trek claims that their new positioning of the front brakes up flush against the fork crown combined with the improved shaping of the fork provides 76g of drag reduction. The rear brake is hidden behind the bottom bracket, providing additional savings on wind resistance. In a final flourish, the DuoTrap digital sensor is recessed into the chainstay and the 3S chain keeper integrates directly into the frame. All very nice touches for improving slipperyness on this already wind tunnel proven product. I've been riding bikes like this for some time now. You can see my travel blog. The website is all about having fun and enjoying your hobbies. I want to spend more time outside rather than doing home improvement projects but lately I've been bogged down there as I've been updating my home to make it more sustainable and useful.